A fascinating examination of how Americans think about and write about witches, from the 'real' witches tried and sometimes executed in early New England to modern re-imaginings of witches as pagan priestesses, comic-strip heroines and feminist icons. The first half of the book is a thorough re-reading of the original documents describing witchcraft prosecutions from 1640-1700 and a re-thinking of these sources as far less coherent and trustworthy than most historians have considered them to be. 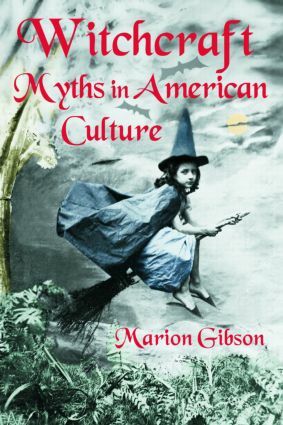 The second half of the book examines how these historical narratives have transformed into myths of witchcraft still current in American society, writing and visual culture. The discussion includes references to everything from Increase Mather and Edgar Allan Poe to Joss Whedon (the writer/director of Buffy the Vampire Slayer, which includes a Wiccan character) and The Blair Witch Project.